Some expansions improve games, some expansions make the base games worse, but some expansions turn a terrible game into a completely different awesome game. Here are a few cases where I had written of the base game, but where the expansion completely turned things around. I lament all those poor souls who wrote off the base game, assuming that the expansion would only be more of the same badness. These are not just expansions that improved a game; these are expansions that saved their games. Pizza Theory has a serious runaway winner problem. At best, one of the 3 players is effectively eliminated almost immediately, and the other two have an interesting two player game. The early phases are very instrumental, but they are also where you have the least information and ability to second guess other players' moves, so they also feel the most random. Ah! But the expansion adds a completely different (and functional) catch-up mechanic for losing players, as well as seeding the initial board with neutral tokens (anchovies). Not only are players in contention the whole game, but the entire game has interesting choices. 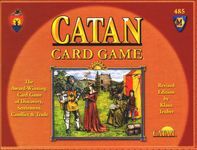 The expansion essentially comes with an entirely new (if similar) ruleset for the same components, and it is a huge improvement! The base game was drab and random. The expansion added meaningful second place rewards, making it interesting and strategic. I found the base game drab, easy, and prone to dominant personalities. I found the expansion interesting, tense, and prone to discussion. A huge improvement! To be fair, the designer designed a game that was then split into a base game + 2 expansions. So, it's not too surprising that the base game felt incomplete. While many loved the game right away, I couldn't get into it until the first expansion. My main complaint with the base game is that too many military boosts require military to play, making military too random. But an effective military strategy had to be all-in to be effective and to bootstrap. The first expansion not only added more means of entry into the military strategy, it enabled military sub-strategies. For me, the game went from an optimization battle to a game with truly diverse paths to victory. At least, if you ask my son (still seven). He never beat me at the 'base' game (though he came close, and 'should' have at least once), but he really wanted to try the expansion. I told him OK, but I also said he's not ready for the 'magic' deck. Specifically, I told him he had to 'unlock' that deck by beating me at every other expansion deck. Since then, he's beaten me at both the 'science' and 'trade' decks. The base game is good but you really need F&F. It adds the Bree and Isengard boards plus a new path to victory (and defeat). Makes the base game so much better. In several ways. Including options that should probably have been in the base game. 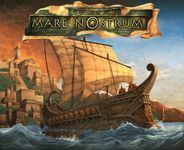 Mare Nostrum: Mythology Expansion adds a possible 6th player, half a dozen myth creatures, 20 hero cards, and another civilization: Atlantis. But more importantly, the game board extension takes the map beyond Iberia and out into the eastern Atlantic to accommodate Atlantis and alleviate a problem in the basic game: the Roman military advantage. Before the expansion, Rome -- with its rear and part of its flanks securely resting on the board edge -- had a military advantage. The addition of more board space (exposing Rome's western flank) and the potential western threat from Atlantis weakens this Roman advantage, and opens opportunites for Greece and Carthage. There are multiple expansions included and they really add a lot to the game. The primary reason is for the upgraded cards. The tiny cards were always a pain. Once you play with the new ones, you won't go back. The additional route cards are a nice add too and the price point is pretty low. Cant speak for the new version, but the original is improved ten fold with the addition of this. It adds a whole host of roles, special event cards which we always have mixed into our games. It then introduces 3 alternative playing options, which you can also mix and match. Wouldnt even think about playing with out. 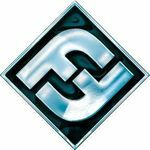 Talisman must be played with at least one of the card based expansions Reaper, Frostmarch or Sacred Pool... otherwise there just aren't enough encouter cards for repeated play. 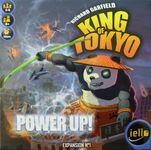 King of Tokyo was ok but after a number of plays, gets stale. Giving each monster their own personalized powers makes a HUGE difference! I don't know how long I would have kept the original without it. Plus, it gives some value to getting hearts while in Tokyo.